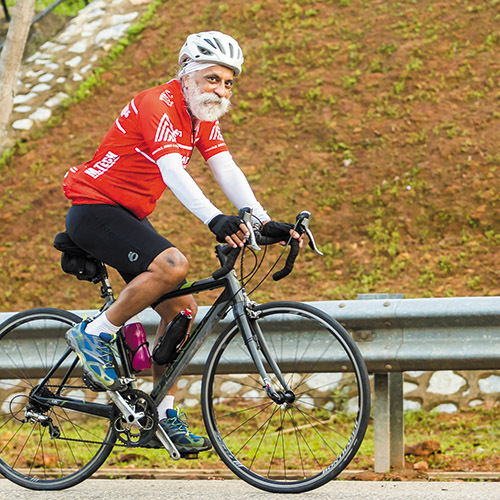 Bike-Aid (Singapore) largest fund raiser in terms of number of participants was held on 23th to 24th August 2014. Ride for Rations (RfR) 2014, the 4th in series and the largest thus far, involved 144 cyclists of the 153 who had registered. RfR 2014 involved 41 support crew in about 20 support cars and 1 ambulance. Notwithstanding the large number of participants, RfR 2014 was entirely planned, run and managed by volunteers and they did an excellent job of it. Interest in RfR 2014 was overwhelming and we had to turn away quite a number of interested participants when we reached the targeted number of participants. 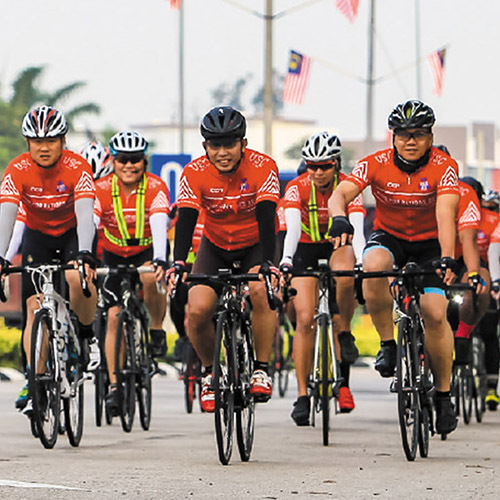 RfR 2014 included a RfR 1K route, where cyclists cycled a total of 1000 km. 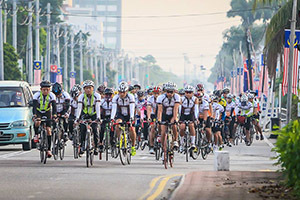 About 10 of them started on 16th August taking a ferry from Changi to Pengarang, Johor and from there cycling up via the east coast of Malaysia to rendezvous with the others at Malacca before continuing to Batu Pahat and Singapore, covering 1000 km over 9 days. The target of RfR 2014 is to increase the number of families/households provided with monthly essential and food rations to 300 and expanding it beyond Marsiling and Chai Chee to include Hougang. As in past RfRs’, RfR 2014 had plenty of positive feedback. Many found it a meaningful experience in terms of giving back to society and raising awareness of the need for help in Singapore. They also appreciated the thorough organisation and planning of the event including the dedication and commitment of the support crew, noting that it was entirely organised by volunteers. a yogathon organised by volunteers as part of fund-raising. There was no organizational costs incurred for the RfR 2014. 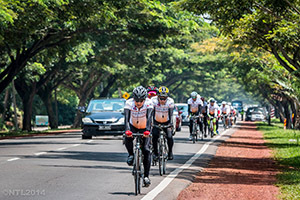 Participants paid for their own accommodation, meals and various other individual costs incurred in the course of the Ride. Thus every dollar and cent collected in donations was channeled to the beneficiary. Cyclists and supporters, keep the wheels rolling for Ride for Rations 2015!